Cats love to play with their dry food. They paw a piece out of their bowl, and proceed to toss it around like they’re playing a game of handball. At least my cats do that. Well, actually just one of them. The other likes to use various places around the house as a toilet. But that’s a post for another day. We tried all sorts of solutions to our messy kitty food woes, but in the end what’s worked for us is a simple cardboard tray. The piece of cardboard that hold the packages of bottled water have proven to be very useful, and also free. The only problem with it is that it didn’t look too attractive and because of the dog it sits right on top of our washing machine and we walk by it at least 20 times a day. It’s not that it needs to be fancy, or even permanent – because I love that our cardboard “trays” are disposable, but perhaps just a bit nicer looking and longer lasting. 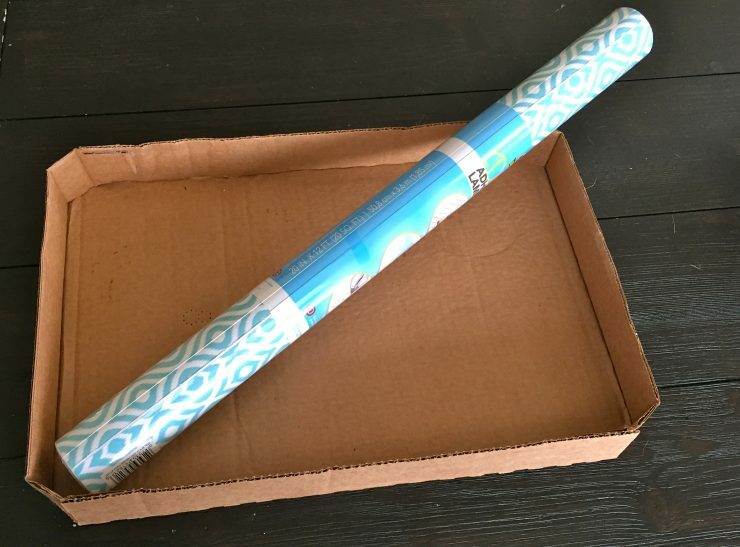 I purchased a roll of adhesive laminate for about five bucks. That’s all it takes to repurpose the cardboard and make it into a nice looking tray. 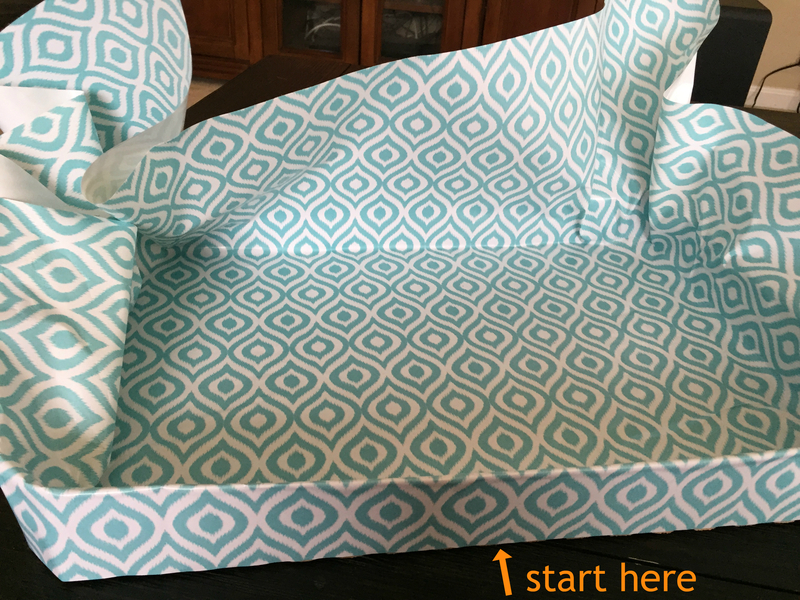 Using a pair of sharp scissors, cut a piece of laminate a bit larger than the tray you are covering. I didn’t want to waste it on the bottom since you don’t see that side, so I cut a large enough piece so as to fold over the edge. Start at the outside edge and work the material onto your tray, cutting if necessary and folding at the corners. The nice thing about this material is that it is very forgiving. If you see a wrinkle forming, it is easily removable and replaceable. Now that my new tray was completed, it was time to visit Stop & Shop and pick up some staples. 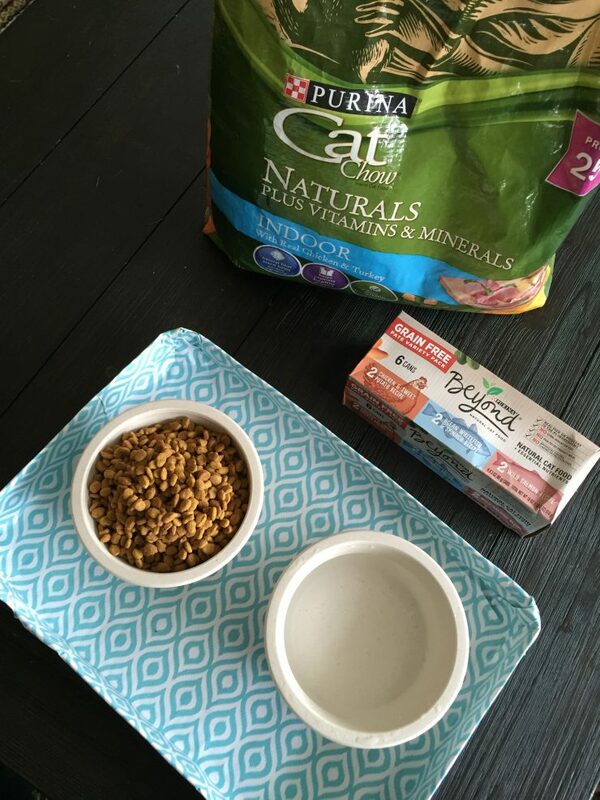 Winston and Spencer have eaten Purina Cat Chow Naturals since we first brought them home. We also discovered the new Beyond Natural Wet Cat Food. They love their wet food treats! 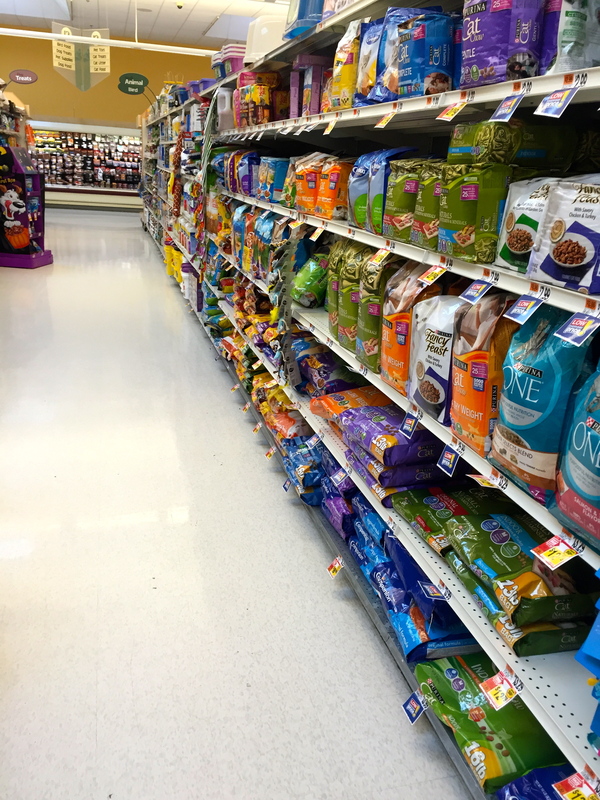 There was a large variety of healthy pet food and treats at Stop & Shop, including Purina DentaLife chews so we were happy to find this $2 off coupon. Check out your coupon insert in this Sunday’s paper. On October 16th you will find money-saving coupons on Purina Beyond products including Buy 5, Get 1 on any Beyond Ground or In Gravy Canned Products, Buy 1, Get 1 on any Beyond Purees, $1 off Beyond Ground Entrees Variety Pack. Do you love crafting for your cats? Check out our other cat tutorial, this easy DIY felt cat wand. « Friday Finds: Products to help you look and feel your best + Family Flora Giveaway! 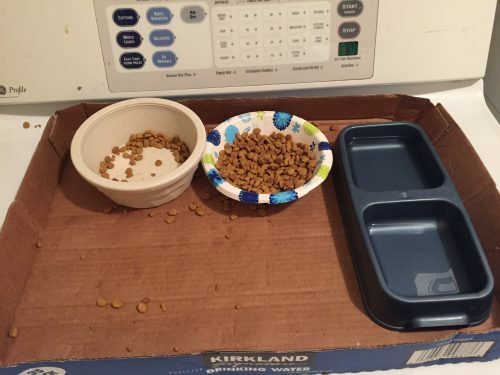 That looks really easy to do and it turned the cat food tray into a pretty one! Great Job! Such a good idea to avoid lot of mess all around the home. 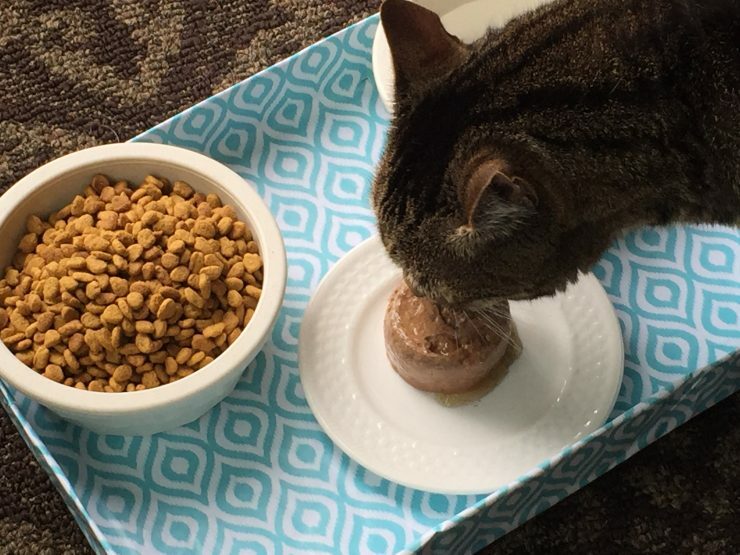 A simple diy work and the cardboard tray looks amazing and much spacious as well for the cats to play with the food! This would be perfect for my messy cat. I can’t wait to buy the stuff to make one and I know she’ll love it. I love making things for her. That’s cool. What a creative solution AND it’s stylish. WIN!